What do you get when you take a Federal Aviation Agency certified Airframe and Power Plant Mechanic who was an Air Force Pilot, a Federal Aviation Agency certified Air Transport Pilot and an Inventor and Industrialist and you give him a 5th wheel or gooseneck trailer? You get the Automated Safety Hitch! If you never heard of the Automated Safety Hitch before it is the brainchild of Joe Jamieson. Joe had major concerns about the over-all weight of 5th wheel trailers, the amount of pin weight being placed on the truck’s axle and how difficult it was to stop a heavy 5th wheel trailer going down the road at highway speeds. So, he decided to do something about it. All I can say is everything about the Automated safety Hitch makes sense. Joe’s invention takes the trouble, inconvenience and hazards of hitching up, driving with, and unhitching traditional gooseneck and 5th wheel trailers a thing of the past. According to Eberstein & Witherite car and truck accident lawyers this safety hitch could decrease your chances of accidents, and thus of needing them! 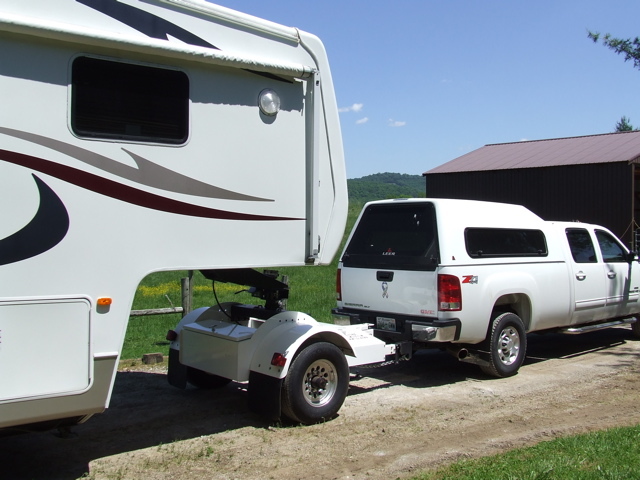 I immediately saw the benefits this hitch system had for new and current 5th wheel trailer and gooseneck trailer owners, but I could see an even bigger picture. What if an RV manufacturer designed a 5th wheel trailer specifically around the Automated Safety Hitch System. Just imagine all the features and benefits a 5th wheel trailer like that would have to offer. Approximately 3 feet less of overall height while yielding as much headroom over the gooseneck or more. Longer gooseneck with better structural support. Better maneuverability due to trailer not being forced to the inside of the turn + trailer will be pulled to the outside of the turn. That’s what you get when you take Joe and give him a 5th wheel trailer! All I know is if I was a 5th wheel RV manufacturer I would be talking to Joe before the other manufacturers found out about him and his Automated Safety Hitch System.